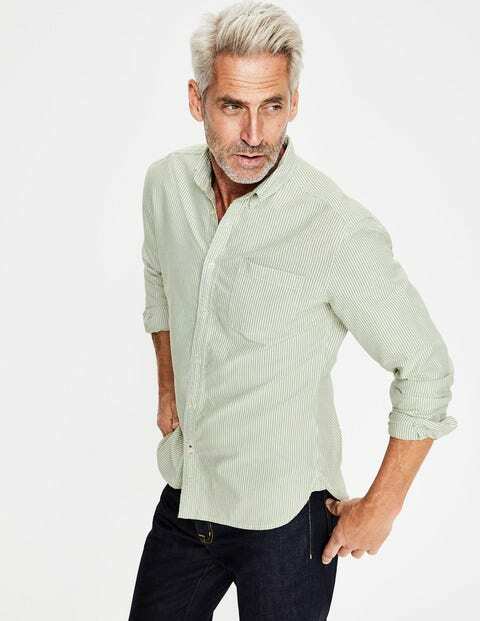 Our slim fit shirts are tailored at the waist for a tapered fit, but still have plenty of room across the chest to make them comfortable for all-day wear. The Oxford weave on this one gives that iconic texture, and it's pre-washed for a soft, drapey feel. Take your pick from plain colours and patterned designs.